This is not your average baby toy or toddler toy. 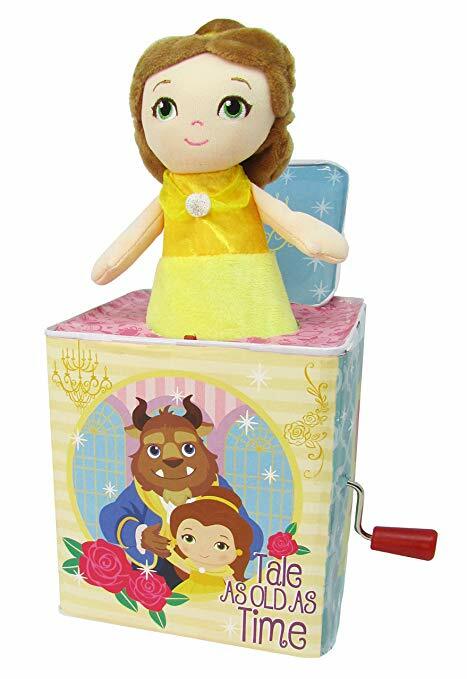 The beautiful Belle Jack in the Box is so lovely, she will delight bub and bring back wonderful memories for mum or grandma. A very unique baby gift for a Beauty and the Beast fan. Plays Tale as Old as Time - the Beauty and the Beast classic Song.